Now deep into their careers, harmonious country quartet Little Big Town recruit some of their genre’s best songwriters and right the wrongs of their Pharrell Williams-assisted bubblegum pop misfire of 2016, Wanderlust. While there may not be anything on the project that stands out quite like their Grammy-nominated ballad “Girl Crush”, there is more than enough solid material here from each of the band’s vocalists, and it is a more than welcome return to form. While the tracks can pick up and slow down in energy and tempo with reckless abandon, the uniting force of their outstanding harmonies ties the project together throughout and makes The Breaker a very respectable work. 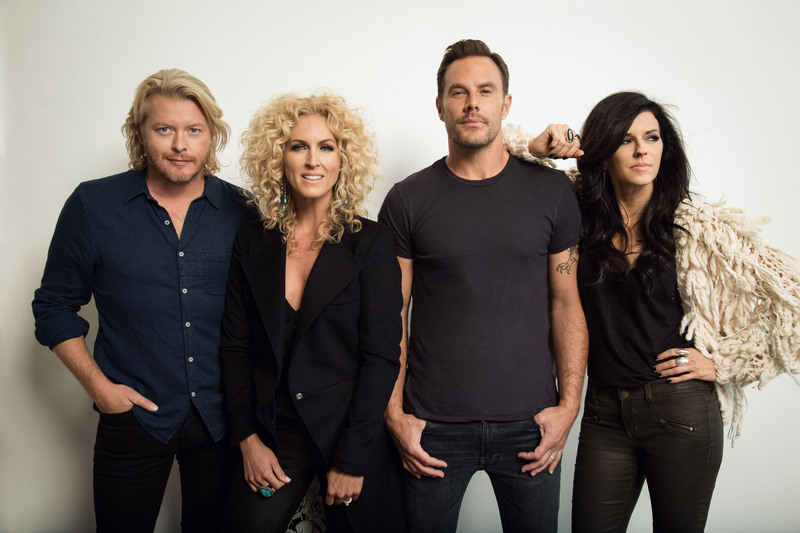 Little Big Town have never fully adhered to their country label, and while their instrumentals still use many of the typical characteristics the genre is defined by, their lyricism and musical sensibilities are built more for pop, rock and R&B. They switch between them with ease here, usually based on the vocalist singing lead. Kimberley Schlapman and Phillip Sweet are more traditionally country vocalists, but they are used much less than the pop-oriented Karen Fairchild and rock-oriented Jimi Westbrook here. Fairchild’s dynamic and adaptable voice can be used effectively on almost anything, and there are many tonal shifts as the songs become quieter or more driving as the album progresses. The band assembles a team of some of country’s best songwriters to bolster the project, including Best Country Song Grammy winners Lori McKenna (“Girl Crush”, Tim McGraw’s “Humble And Kind”) and Hillary Lindsey (Keith Urban, Carrie Underwood), as well as Luke Laird (Kacey Musgraves, Luke Bryan) and – surprise, surprise – pop superstar Taylor Swift. Fairchild is the best vocalist, and she is smartly used on about half of the tracks here. Her voice is unassuming yet holds its own, and her lower range stands out best when Schlapman’s higher soprano floats on top in a harmony. The harmonies are still far and away the main attraction of the band, and have the potential to save any track. There are some songs here that kept some of the more negative aspects from Wanderlust — the album opens with a robotic drum machine beat that segues into one of its most saccharine tracks, “Happy People”, but then they absolutely sell the mood they are going for with the harmonized chorus. Well-executed 4 part harmony is so hard to find and Little Big Town have been doing it for over a decade. The four vocalists are all very different, so it is surprising to the listener when one emerges from the pack after we have the knowledge of how well they all work together. The lyrics here are frequently emotionally affecting in the simplest ways, and although members of the band themselves rarely have credit it speaks to the strength of their writers – yes, including Swift, who might actually have the best use of this simplicity here with her tale of love gone wrong. Her track, “Better Man”, was met with mainstream appeal, and for good reason. It contains the intoxicating melody of some of Swift’s greatest hits with the added musicality of a group like Little Big Town that is not present in her own work, and this works incredibly well. Calming Fairchild tracks like “Lost In California” and “Free” stand out in the early goings of the album, offering catchy choruses while refraining from overpowering the listener too much, allowing them to appreciate just how impressive those harmonies are. Little Big Town work at their absolute best when they are quiet and serene, giving the emotional swell of the harmonies the most room to move and grow. While most of these tracks are very good, only about half of them possess these qualities and I wish more ultimately did. Fairchild and Sweet have more soothing voices, while Schlapman’s powerful voice and Westbrook’s snarling belt especially were built for louder tracks. When the latter two take charge is can take away from the overall strength of the album at times. However, the tonal shifts of the album allow even Fairchild tracks to stand out as outliers. I don’t know what to make of a track like “Drivin’ Around”, which delivers great energy but resembles Wanderlust perhaps more than any other with its pop-rock leaning sound and somewhat awkward melody. The vocals sound like they were recorded in a stadium, while I picture the band best in a smaller, intimate setting. Becoming the first to be reviewed on this website more than once, a simple search of my previous review for Wanderlust should reveal my relief that it was only a side experiment. This is the kind of music this band should be making, and while it may not be as sonically adventurous as 2014’s Pain Killer, I still can’t help but lose myself in their world when those harmonies hit.